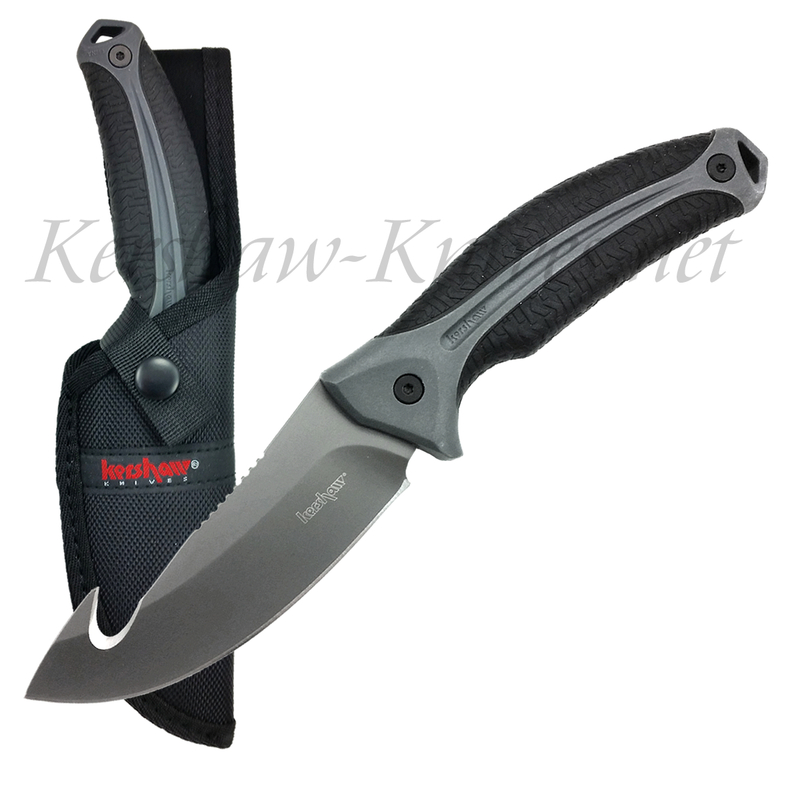 The Kershaw LoneRock Large Fixed Blade Guthook knife is a sportsman's best hunting partner. This knife features a large 8Cr13MoV steel blade with guthook tip, coated with titanium carbo-nitride to enhance protection against everyday use. You can get an excellent hold on this knife with the exclusive K-Texture grip, even in wet conditions. 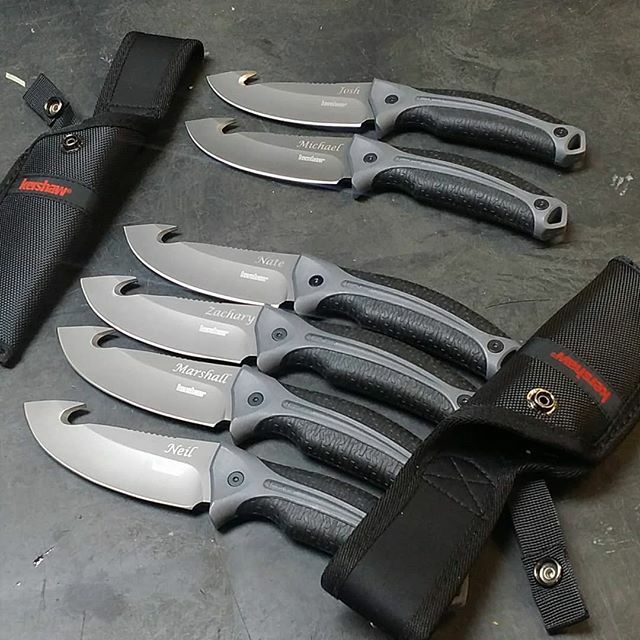 This LoneRock comes with a durable nylon sheath, holding the knife securely in place with snap button closure and belt loop. Whether you are just hanging out at the cabin or are about to harvest a trophy animal, you'll always be prepared with this Kershaw by your side.